Marieanne Tallie Perez-Bello, 33, 15 Marshall St., was charged on July 21 with third-degree assault, second-degree breach of peace, disorderly conduct, second-degree unlawful restraint and second-degree threatening. Andres Arroyo, 27, 136 West St., Apt 2W, New Britain, was charged on July 21 with first-degree criminal trespass and violation of standing criminal protective order. Sheniece M. Morris, 26, 166 Glen St., fourth floor, New Britain, was charged on July 21 with failure to respond to infraction. Edward A. Garcia, 29, 395 Clinton St., Apt 3W, New Britain, was charged on July 21 with sixth-degree larceny. Carlos M. Rodriguez, 28, 2258 Corbin Ave., New Britain, was charged on July 21 with interfere with officer/resisting, second-degree threatening and disorderly conduct. Marisol Rodriguez, 43, 41 Wynola Ave., New Britain, was charged on July 21 with second-degree breach of peace and carrying dangerous weapon. 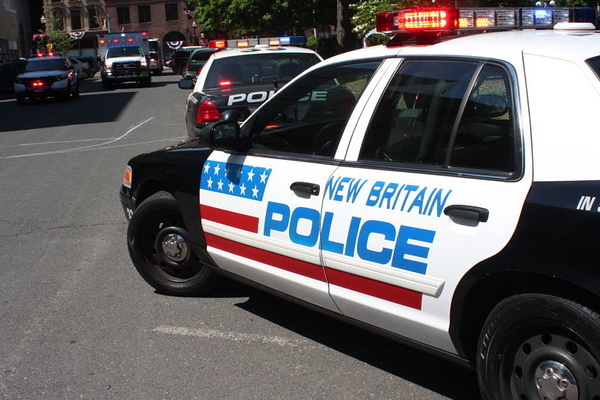 Kelvin Joel Montanez-Gonzalez, 18, 23 Horace St., second floor, New Britain, was charged on July 22 with two counts of disorderly conduct, second-degree threatening, third-degree assault and sixth degree larceny. Robert L. Wilson, 40, 91 Tulip St., Apt 7, Bristol, was charged on July 22 with illegal operation of motor vehicle without tint inspection, possession with intent to sell/dispense, possible controlled substance ½ to <4 ounces marijuana. Michael Castiglione, 35, 122 Sexton St., New Britain, was charged on July 22 with disorderly conduct, interfere with officer/resisting and failure to comply fingerprint request. Kenneth Colon, 27, 105 Prospect St., Rockville, was charged on July 22 with second-degree breach of peace. Yolanda Ortiz, 55, 28 Convoy Drive, New Britain, was charged on July 22 with second-degree failure to appear. Christopher J. Farr, 36, 134 Country Club Road, New Britain, was charged on July 23 with disorderly conduct and second-degree harassment. Posted in New Britain Herald, General News, New Britain on Tuesday, 31 July 2018 20:00. Updated: Tuesday, 31 July 2018 20:02.